The liberal democratic values upon which the Atlantic community has been built and prospering since the end of the Second World War seem to be in retreat. The US, previously the foremost champion of the liberal world order, shows protectionist and even isolationist tendencies, imposing tariffs on its traditional strategic partners in Europe and sending mixed signals regarding the American commitment to NATO. On the other side, within the European Union we can observe alarming signs of populism and in some member states a gradual decline of fundamental values, as, for example, measures are put in place to limit the freedom of press and judicial independence. Indeed, voters on both sides of the Atlantic have turned inward, presumably due to anxiety stemming primarily from the adverse effects of globalisation, as well as unease about immigration. Established political leaders have struggled to address these concerns and have therefore contributed to the rise of the political fringes. Yet, given the complex and transnational nature of contemporary security challenges, the Atlantic community needs to confirm and uphold its values – now probably more than ever. Great power conflict, the proliferation of ever more lethal weapons, organised crime and terrorism as well as cyber warfare and disruptive technology all worry decision-makers in the capitals of Europe and North America. The threats and challenges facing the Atlantic community overwhelm the capabilities of individual nations and it is thus only through cooperation that they can be addressed and managed. History has shown we are stronger and more effective when working collaboratively – united we stand but divided we risk falling. The liberal order, as it was established in the 1940s, consists of a dense network of international agreements, trade arrangements and military alliances, aiming to prevent the recurrence of war and economic nationalism that inspired conflict in the past. The Atlantic community has primarily been, however, strategic in nature with NATO being its most concrete manifestation. For Greece, it is the defence web and the NATO security guarantee that epitomises the community’s main benefit. Transatlantic security guarantees and collective defence in particular have to be rooted in a sense of solidarity as well as shared values and interests between members of the community. Therefore, President Trump’s comments calling NATO ‘’obsolete’’ or conditioning American commitment on allies meeting defence spending benchmarks, have understandably caused anxiety, frustration and even anger in Europe. From a Greek perspective, should the liberal word order fail and transatlantic solidarity vanish, Athens’ security problems would increase. Athens is currently frustrated over what it perceives to be a one-sided focus on NATO’s Eastern flank at the expense of the Southern flank. Viewed from Greece’s perspective, a further retreat to illiberalism would likely mean more closed doors when Athens might be looking for support and solidarity in dealing with the effects and causes of mass migration. The decline of the liberal world order would presumably lead to policies of exclusion, of migration quotas, stricter border controls and an unwillingness to share the costs, political and financial, of migration. Evidently Greece is exposed to refugee and migration movements from the Middle East and Northern Africa, with more than 1 million refugees and migrants arriving in Greece in 2015 and early 2016-constituting almost 10% of its population. In 2018, the number stood at more than 60,000. This issue is likely to become more pressing in the long run, as migration flows are projected to increase due to climate change and regional instability. Greece cannot change its geographical location, and it is, therefore, in its very fundamental interest to foster a sense of solidarity in the Atlantic community and adherence to its principles. Respect for the liberal world order is expected to contribute to willingness of allies to share the burden and assist in addressing potential threats encompassing migration flows. A more traditional example underpinning the need for the Atlantic community is Greece’s relationship with fellow NATO member state Turkey. Although NATO has almost certainly contained hostilities between the two allies, in 1974 Athens left the alliance’s military command structure over Turkey’s invasion in Cyprus. Despite its frustration regarding NATO’s failure to avert a conflict between two allies and its continuous concern over Ankara’s intentions, six years later Greece did return. That was due to a well-founded conviction that Athens will ultimately gain more as part of the community and inside the security infrastructure. In Greece’s calculations, security concerns in relation to Turkey can be managed better within the alliance than outside of it. According to international relations theory, a sense of belonging, shared values and economic interdependencies will restrain aggressive behaviour. The liberal world order assumes that democracies do not fight each other, but instead focus on enjoying the prosperity that the lack of conflict brings about. It is therefore not surprising that Athens is a supporter of both NATO and the European Union’s enlargement in the Western Balkans. As Greece’s Prime Minister, Konstantinos Karamanlis noted in 1976, two years after the country left NATO’s military commands ‘’Greece belongs to the West’’, implicitly referring to the values underpinning the community. Acknowledging that the collapse of the liberal order and thus of the Atlantic community may translate to the collapse of the structures on which Greece’s security depends, Athens appreciates its necessity. 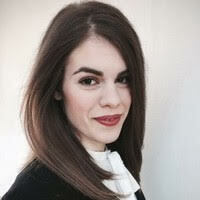 Yvonni is the Programme Coordinator and Research Analyst for Defence and Military Analysis at the International Institute for Strategic Studies.